In his book Outliers, Malcolm Gladwell asserts that it takes 10,000 hours of practice for a person to become an 'expert' at something. When we see international batsmen play, they are using techniques crafted through hours of practice. 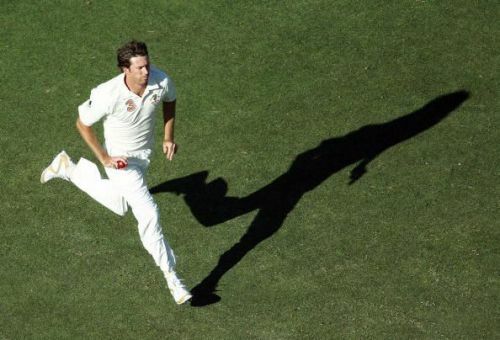 Their movements in the time between the bowler releasing the ball and it reaching them is therefore not a split-second decision, but the result of countless decisions made over the years. However, once every few years, these batsmen come across a bowler capable of unraveling tens of thousands of hours of practice. This article examines ten of the greatest Test series an individual bowler has ever had, a series during which a single bowler dominated an entire batting unit. Their inclusion on this list, and indeed their ranking, is dependent on several factors. Their figures throughout the series in question is, of course, the starting point, but other factors such as the quality of opposition they faced, and the context in which they faced them is also considered. So, certain individual performances, while statistically phenomenal, don't quite make the list. For example, Sydney Barnes' remarkable 1913/14 tour of South Africa fails to make the cut despite Barnes taking 49 wickets in the series, the most by any bowler in cricketing history. This is because he was playing a very weak South African side on favorable pitches. Muttiah Muralitharan, on four occasions, managed to take 26 wickets in a three-match series. While this list does contain some three-match series, it generally favors longer tours as these allow the bowlers to demonstrate their supremacy over the opposition for a prolonged period. This puts certain bowlers at a disadvantage as some nations tend to play longer series than others. Australia's 1970 tour of South Africa would turn out to be the last Test series South Africa would participate in for over 20 years as apartheid saw them banned from international cricket. This curtailed the international careers of some truly brilliant players as the South African side that played this series was arguably one of the greatest test sides in history. Among their ranks were the likes of Graeme and Peter Pollock, Eddie Barlow, Barry Richards, Denis Lindsay and Mike Procter. Procter was an all-rounder on the level of Ian Botham, Kapil Dev, Richard Hadlee and Imran Khan, all who would make their Test debuts later in the decade. But while these players were dazzling the world on the international stage, Procter was confined to domestic cricket. Nevertheless Procter still showed his immense talent, averaging 36.01 with the bat and just 19.53 with the ball across 401 first-class games. 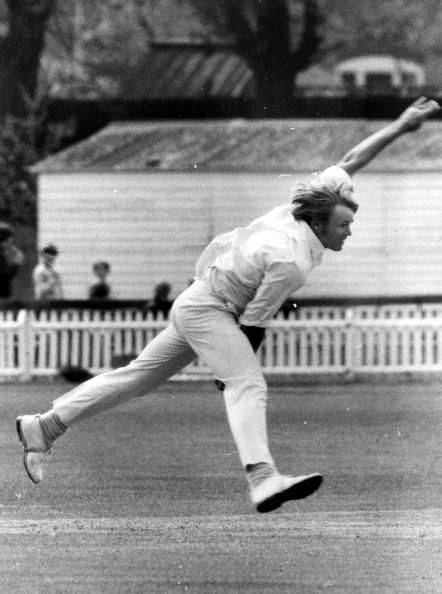 The 1970s series against Australia therefore provided a taste of Procter's skill as he humiliated an Australian side that included batsmen such as Doug Walters, Bill Lawry, Ian Chappell and Keith Stackpole. Australia's best batsmen during the series was Ian Redpath and even he was dismissed by Procter on five occasions. This included the final innings of the series at Port Elizabeth. Here Australia were set the highly improbable target of 570 after Barry Richards and Brian Irvine had ground the Australian bowlers to dust with classy centuries. But not all went South Africa's way as Peter Pollock was only able to deliver one full over before succumbing to injury. Procter picked up much of the slack from his new-ball partner and finished with 6/73. This was the only five-for Procter took in the series, as he didn't so much decimate the Australian batsmen as he did consistently show his superiority. Procter showed the best of what South Africa had to offer, but the worst his country had to offer prevented him from showing more.